I call them random thoughts as they are unconnected, except by a rainy day. 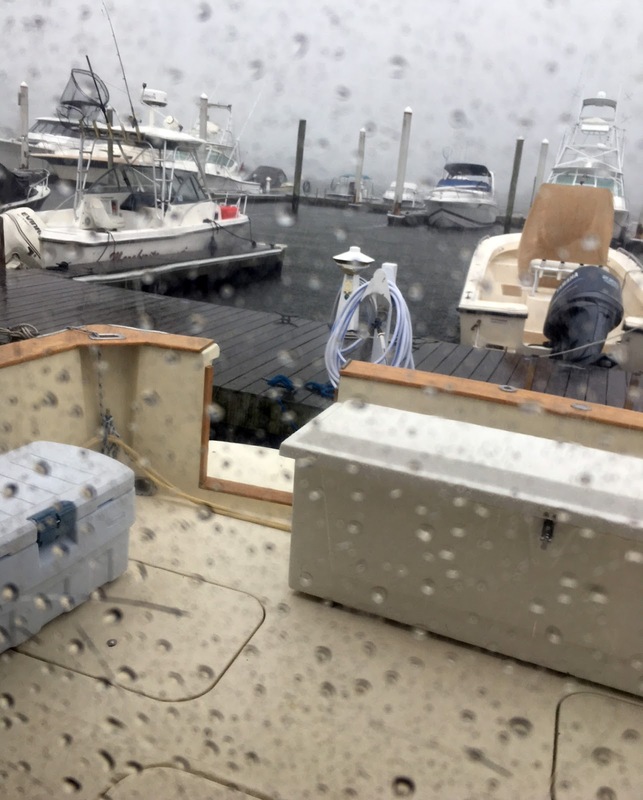 While the pitter patter of the rain can be soothing when living on our boat in the summer, torrential downpours, thunder and lightning are not. Our dock is halfway into the Norwalk River, a long walk in wind driven rain, so while there are things to be done outside on the boat, and shopping to be addressed, today we are trapped inside a space which is a quarter of the size of my smallest NYC studio apartment. Reading and writing are the best choices for today leaving the necessary errands and work for fairer weather. Even writing has its challenges. No Wi-Fi here so cellular is our only means of communication. I’m accustomed to writing with things running in the background, particularly to look up facts, but on the boat I’m floating in space untethered. 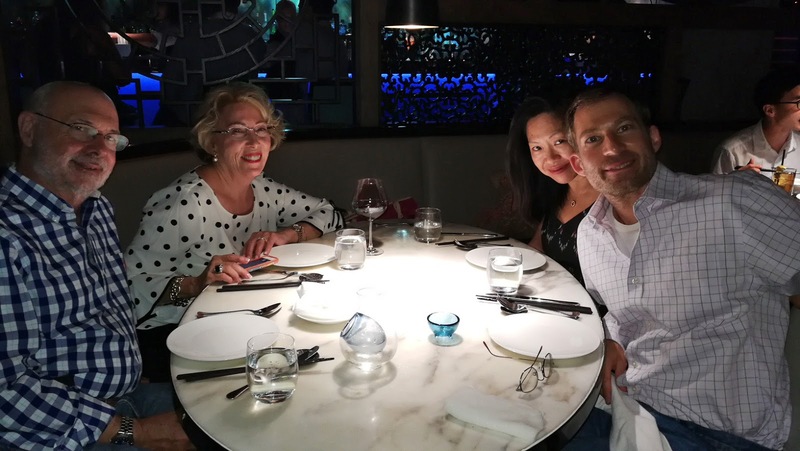 In a way I’m glad to have this opportunity as the next week will be almost entirely devoted to preparations for, and then the wedding of our son, Jonathan, to our soon-to-be daughter in law, Tracie. Respecting their privacy I’m not going to say much about this eagerly anticipated affair, them, or their plans, but suffice it to say Ann and I are delighted, not only about the event, but they seem like perfect soul mates. Last Friday we went into the city to meet them for a little “pre-wedding celebration” by having dinner at Hakkasan, a Cantonese restaurant with the most interesting food and ambiance, and it happens to be almost next door to the Tony Kiser Theatre where we had tickets to see Mary Page Marlowe by Tracy Letts. We had eagerly, and with some difficulty, obtained tickets after Terry Teachout’s laudatory review in the Wall Street Journal came out. The play was highly praised as well by The New York Times. There is much to be said in favor of this play in which six actors play non-chronological scenes in the life of this one ordinary woman and when you add them all up, they comprise what you would describe of each one of us, a unique life, and thus extraordinary in the same sense are those of the townspeople of Grover's Corners from Thornton Wilder’s Our Town. I liked the concept and the postcard kaleidoscopic non-temporal nature of the play but somehow I was little moved. I’m not sure whether this is the fault of the play or Second Stage. We had seats more than half way up stage right and whenever a character addressed stage left we could hardly make out the dialogue. Apparently performers were not wearing microphones. Letts tries to make a broad statement about the “ordinary everywoman” but I felt he was dissecting a gender like a helpless frog in a Biology 101 laboratory class. Maybe the play reads better as admittedly I did miss quite a bit of dialogue. Hard to see how one reviewer felt it will become one of the outstanding plays of the early 21st century, but what do I know. Guess he had a better seat than I did. 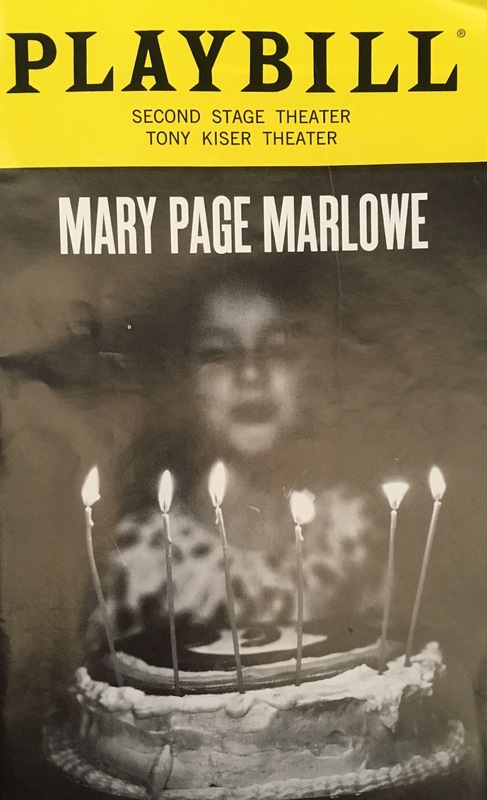 Actually (and as I said, these are random thoughts), one could make the argument that in light of the #Metoo movement, this play, written by a man, putting a woman in this context, could be considered a watershed theatrical moment. After all, look at what is playing now on Broadway and generating a lot of criticism because of their portrayal of women, revivals of Carousel (see previous entry), and My Fair Lady (will be seeing it soon), not to mention the adaptation of the film Pretty Woman into a musical (reviews pending), which put women in the historical context of the times in which the works were set. Does this mean that political correctness should ban such plays? Of course I find it despicable that Julie was beaten by Billy in Carousel but one must take the times into account. Ban all non PC plays and they’ll be little left to see. I think there may be a case of cultural lag, but the arts do begin to reflect the changing times and perhaps Letts’ play is admirable on that basis alone. Sorry, in spite of some of the objectionable themes, I still revel in the works of Rodgers and Hammerstein, and Lerner and Lowe! Tomorrow night we see The Understudy at the Westport Country Playhouse by Theresa Rebeck. Perhaps she will cast more light on the “roles” of men and women, although it has more to do with the place of the “celebrity” on stage. Something on that play another time, which may be a while given our next few weeks. On to a completely unrelated subject. Random thoughts indeed. Nothing like falling asleep on a boat with a good book in one’s hands. 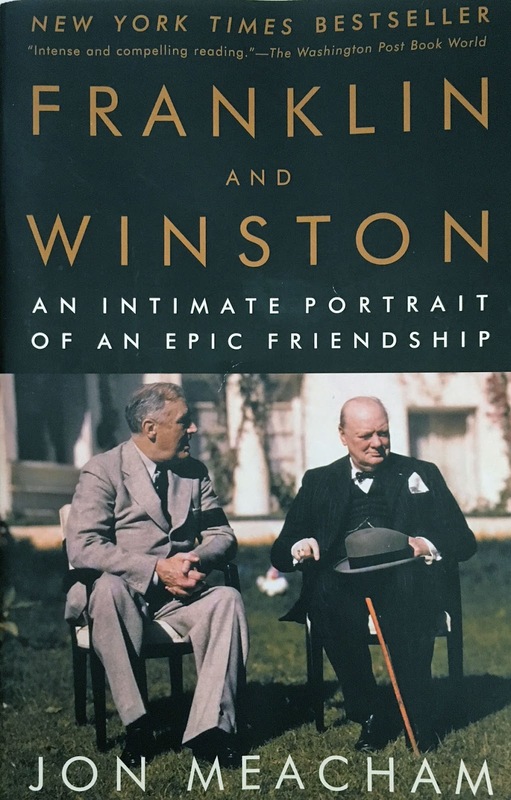 I’m generally into fiction but I like well written history as well, so for the past several weeks my night time reading has been Jon Meacham’s Franklin and Winston: An Intimate Portrait of an Epic Friendship. 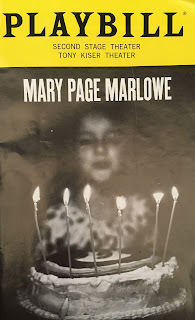 This is one of the books which has been on my “to be read shelf” at home and I had just added Anne Tyler’s new novel, Clock Dance to that shelf. Being an ardent Tyler devotee, I had intended to bring that book, but it is the hardcover 1st edition, with a beautiful jacket, and I didn’t want to ruin it in any way and decided it could wait until I get home. I also have scores of books and plays to read on my iPad’s Kindle application, but bedtime reading requires a physical book for me, and thus, Meacham to the rescue. Meacham is not only a great historian, but a skilled writer at the same time. I’ve written about WW II in this blog, mostly from my father’s perspective, and of course I’ve read a number of histories, especially from the FDR viewpoint. 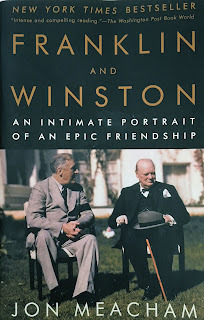 Meacham carefully, painstakingly brings out the great statesmanship of these two men, their developing friendship, FDR’s crafting the Lend Lease program to deal with Britain’s needs and yet at the same time balancing Congress’ anti-intervention inclination before Pearl Harbor, even having to deal with some pro fascist feelings stoked by the likes of Lindbergh. But Churchill won over FDR and a bond of friendship developed, although both men had their own egos and insecurities to be served. Thus, like all human beings, they were flawed but their trust in one another and their leadership truly saved democracy. When Stalin became more of a factor, they grew somewhat apart, but Churchill warned FDR about Stalin’s own agenda, and was proven right, bringing them back together again. Meacham makes copious use of original correspondence to underscore what these two men accomplished. The book was written some fifteen years ago. When read today one cannot help but think of those men and what, now, passes for “leadership” in our government. To every inspirational letter written or eloquent quote of these two titanic leaders, juxtapose one of the endless uninformed, despoiled tweets of our current leadership. Where would we be if our “transactional” President had faced the likes of Hitler and the needs of the British people in 1940? The book really needs to be read in that light now. I could quote galore to make this point, having turned down the corners of more than 50 pages for that very purpose, but now, with little time, on my old laptop, in the pouring rain, to what end? Simply read Meacham’s brilliant work, and consider that question. Roosevelt and Churchill made history. History did not make them. They were the right leaders for terrible times. Do we have the right leaders for our times? If you read Franklin and Winston, you may be asking (and answering) that question with every page.